We are a leading Manufacturer of soldering iron for electronics from New Delhi, India. To meet tremendous quality standards, we are offering a quality range of Soldering Iron for Electronics. The Soldering Iron for Electronics we offer are recommended amongst the clients for its safe use. The Soldering Iron for Electronics are highly reliable.The product we offer is known for its reliability and quality. Besides, offered products are made accordingly as per changing requirements of the clients. 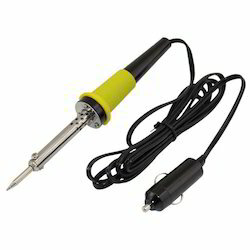 Looking for Soldering Iron for Electronics ?